Asbestos has been dubbed as a “silent killer” for years now, although it’s an unfortunate fact that it kills more people every year – through asbestos fibres being inhaled – than people who are in road traffic accidents. It has been banned in Britain since 1999, which means any house built or refurbished prior to the year 2000 could potentially contain asbestos in some form. Asbestos refurbishment surveys are required for buildings pre-2000, but why should you arrange one? What does an asbestos refurbishment survey do? Any asbestos survey you take out will, in basic terms, identify whether you have asbestos material in your property. 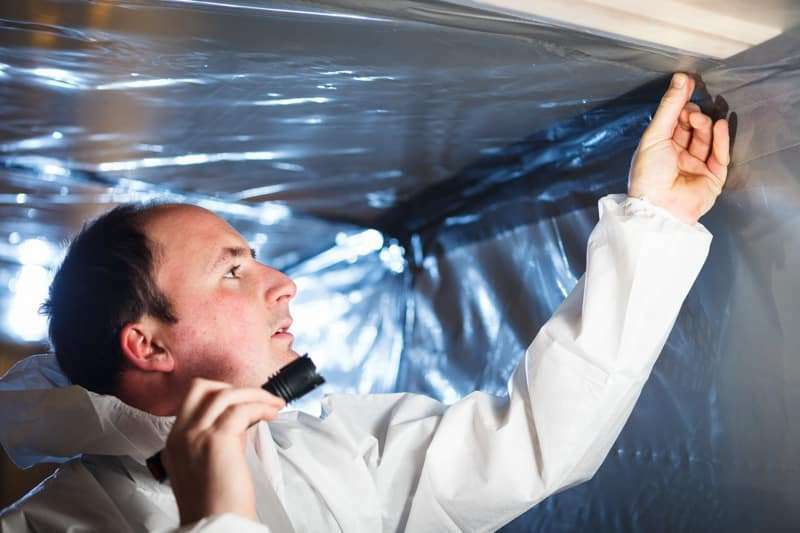 Non domestic owners have a duty to make sure any asbestos in their property is properly handled, not disturbed, and if it has to be disturbed, handled in the safest manner possible and minimise the risk of exposing its occupants to asbestos fibre. Surveyors and companies performing the asbestos survey have different “types” to undertake, but the most common two are “asbestos management surveys” and “asbestos refurbishment surveys”. Asbestos management surveys are visual inspections of the building. Although these surveys are “non-intrusive”, samples of suspect materials are collected and then tested at a UKAS accredited laboratory. By contrast, asbestos refurbishment surveys are “intrusive and destructive”. Their purpose is to identify all asbestos containing materials within an area prior to it being refurbished, this may be part or an entire building. In addition to these surveys a third survey type can be undertaken which is an asbestos demolition survey. This survey is extensively destructive and is only undertaken when the building is to be completely demolished. First and foremost, there are no safe types of asbestos fibre. All types of asbestos are deemed to cause the same asbestos related diseases. As such they are all treated the same under UK asbestos regulations and guidance. Having the ability to have these potentially dangerous materials properly identified by a professional company is incredibly important and means that you can stay safe within your own property. Accurate identification of ACMs (Asbestos Containing Materials) also protects builders, contractors and anyone working within your property. Asbestos refurbishment surveys are all about minimising risk to all involved. Many older buildings which have decorative coatings, old pipe and boiler insulation and cement water tanks could pose a risk to you. But if you’ve already identified what and where potential asbestos is present when undergoing a refurbishment project, why do you need the survey? A refurbishment survey will recommend looking at not only the material(s) in question, but also the surrounding areas – for example, if you want to take down your ceiling, the walls could potentially have some kind of ACM in it too, and through a refurbishment you’re disturbing it. So even though you think you’ve seen all the asbestos in your property, a survey is recommended to avoid any nasty surprises. A quick Google search will bring up loads of local and national companies whose speciality is property refurbishment. The problem is, even if you have them refurbishing your property, they need to take out a survey beforehand as they won’t just explicitly know you have ACMs in your property. The refurbishment survey should be the first “work” you carry out before you get the builders in. If you would like to find out more about the asbestos surveys we at Acorn Asbestos carry out across the UK, please contact the team here.